Bollywood’s ‘Singham’ Ajay Devgn has a number of projects in his kitty. He will soon be seen in Indra Kumar’s comedy-drama ‘Total Dhamaal’ co-starring Anil Kapoor, Madhuri Dixit and others in pivotal roles. The ‘Raid’ star, who was last seen in Ranveer Singh‘s action dhamaka ‘Simmba’, has left fans wanting some more. 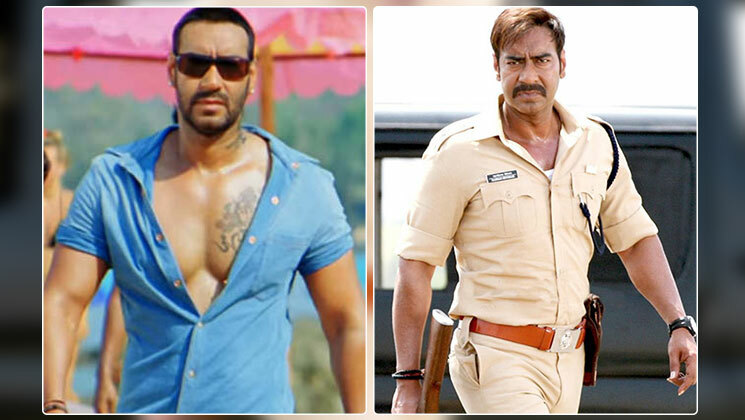 Now, Rohit Shetty and Ajay Devgn have collaborated for a number of hit flicks such as ‘Singham’ and ‘Golmaal’. Rohit Shetty, during a media interaction while promoting ‘Simmba’, had revealed that ‘Golmaal 5’ is in the pipeline. Devgn’s cameo in ‘Simmba’ had confirmed that the duo are planning a ‘Singham 3’. But Ajay Devgn has left his fans in a dilemma. Yes, during a media promotion, Ajay Devgn had said that he and Rohit are confused whether ‘Singham 3’ or ‘Golmaal 5’ should go on the floors first. Looks like the makers have locked the script and are just waiting for the launch of a film. On the work front, Ajay Devgn will next be seen in ‘Total Dhamaal’ that is being directed by Indra Kumar. The film also stars Madhuri Dixit, Anil Kapoor, Arshad Warsi and Riteish Deshmukh in pivotal roles. Ajay also has historical drama ‘Tanaaji: The Unsung Warrior’. The movie also stars Kajol and Saif Ali Khan in pivotal roles. He also has Luv Ranjan’s ‘De De Pyaar De’. The movie is produced by Bhushan Kumar, Ankur Garg and Luv Ranjan. The film marks the directorial debut of Akiv Ali and also features Jimmy Sheirgill, Tabu and Rakul Preet Singh. Also Read: Woohoo…’Golmaal 5′ on the cards and we can’t keep calm!